Located in the Besiktas, district of Istanbul, Yıldız Park has two separate doors; one door in Cıragan Street, the other in Palanga Street. It began to become prominent at the beginning of 1600s. 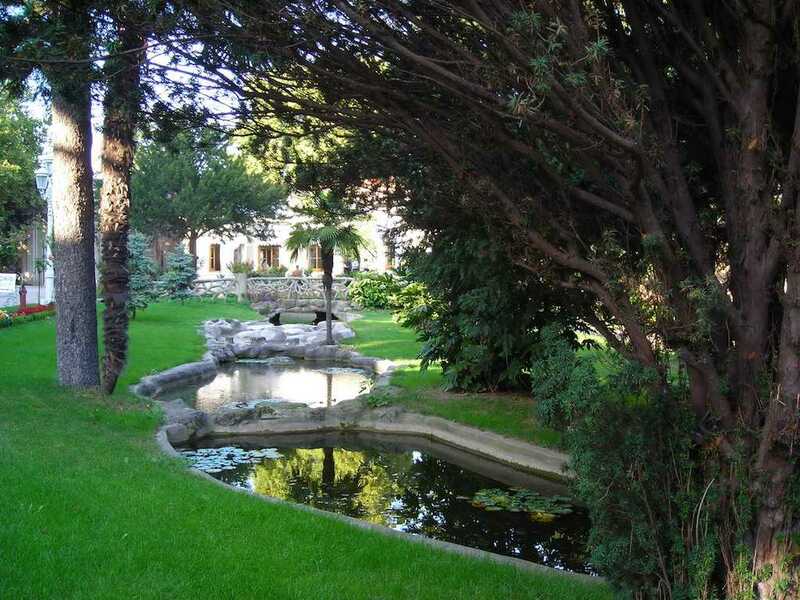 Those days, called as ‘’Kazancioglu Garden’’ belonging to Kazancioglu Family, that place was given by the Ottoman Sultan Murat IV as a present to his daughter, Kaya Sultan. Mihrisah Sultan made the first mansion built here because the natural beauty of that unique grove with its magnificent trees, flowers fascinated her. 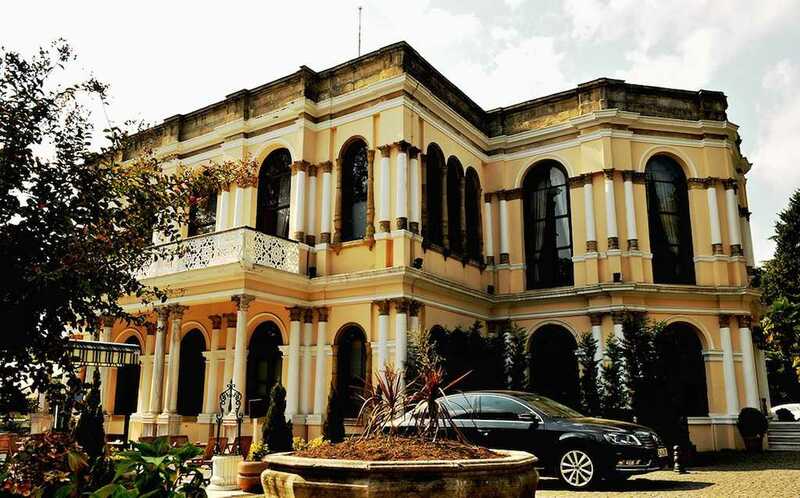 After that, another mansion was built by Sultan Mahmud II. He only made this. Actually, the numbers of pavilions were increased in the period of Sultan Abdulaziz Han. Most important pavilions of them were Cadir, Malta, Sale, Bahcivanbasi, Talimhane, Acem Kiosks. But except for Cadir, Malta, Sale Kiosks, the others were demolished. 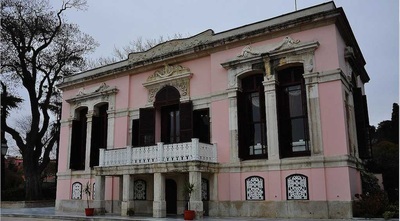 Sultan Abdulhamit Han moved to Yıldız Palace from Dolmabahce Palace. Soon after, he established little pavilions, Hamidiye Mosque and many different ateliers such as repair-shop, carpenter’s shop and iron foundry. Additionally, he built a military post which had more than fourteen thousand soldier capacity and a mansion named Talimhane Kiosk because the German Emperor Wilhelm II easily watched the gateway when he come to Istanbul. The words of Sultan Abdulhamit shows us how valuable park is; ‘’the gold was used in every square meters of the park’’ which means the building of the unique park has paid too much. Malta, Sale and Cadir Kiosks belonging to the time of Sultan Abdulhamit attracts the people with their functions and architectural beauty. Situated in Yıldız Park to the north side of the wall cutting the Yıldız Palace, Malta Pavilion took its name from the conquest of Malta Island because some sections of palaces were given the names of conquered places in the Ottoman Empire. Established by the famous architect Sarkis Balyan and his brothers, Malta Pavilion reflects the highly interesting sample of the civil architecture. The mansion has four splendid entrances. When you step into its room with Bosphorus view, you will meet the big hall. Several balconies are placed on the second floor exhibiting the sea. You face to face a marble covered pool and a fountain ornamented with the pretty swan motives which spray water from their heads in the middle of the hall. Marble columns from ceiling to the floor are found in the both sides of the stairs. There are also two little rooms and a toilet around the huge saloon on the top floor. Therefore you can look over the sea without any barriers by the way of wide and round windows. Enormous doors and high attics specially were decorated hunting animals, flowers, and vegetable and fruit figures which symbolize that structure as a hunting and resting pavilion. Except for the architectural features, there is a case about it; just like the other pavilions of Yıldız Palace, Malta Pavilion has witnessed many important historical events. For example that Sultan Murat V planned to take over the throne and he organized a raid named Cıragan Raid in 1878 but he failed. As a result of that he was imprisoned by Sultan Abdulhamid in Malta Pavilion. Following the exile of Sultan Abdulhamid, Yildiz Park and Malta Pavilion was not used until 1941. But then the park has been given to Istanbul Municipality. Upon the transfer, the glorious park was opened to the public visits. Malta Pavilion has always attracted the foreign people from many different countries and it makes an international interest and admiration. 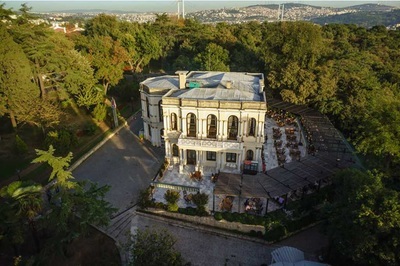 Since 1997, operated by Municipality of Metropol Istanbul, this pavilion has opened to public as cafeteria and restaurant. Also it is regulated engagements, marriage ceremonies and business organizations within that place. Located on the left side of the Yildiz Park, this pavilion was built by the Great architect Sarkis Balyan and his brothers for the sake of Sultan Abdülaziz. Densely used the dark red colour, that single –storey pavilion has three parts facing the Bosphorus. In the middle of the part, there is found a balcony on four support columns. The door of that balcony which is ornamented and round arch type includes two windows on the both sides. The facade of Cadir Pavilion looking the pool contains an entrance with two-part stairs. A door opening into the strata floor is placed between the two parts of that stairs. They symbolize the building as hunting and resting location by adornments of hunting animals, flowers, and vegetable and fruit motives. On the top floor of the mansion there are three rooms, a huge hall, toilet and a little hall. The ceiling of the huge hall is furnished with fascinating, fragrant flower bouquets. Geese, horse, camel, giraffe, cow, sheep, partridge and flower basket figures and motives were located on the edges and between the corners. Also, there are two chimneys, high and wide windows and doors reflect the features of the period. These locations were used by the members of the palace as the daily trips and resting room. After the exile of Abdulhamid the pavilion has been remained unused for long time. In 1940, it has been given to the Istanbul Municipality by the Ministry of Finance. In 1960, a Reform Museum has been built here and at last in 1982, it was operated by Turing Company. 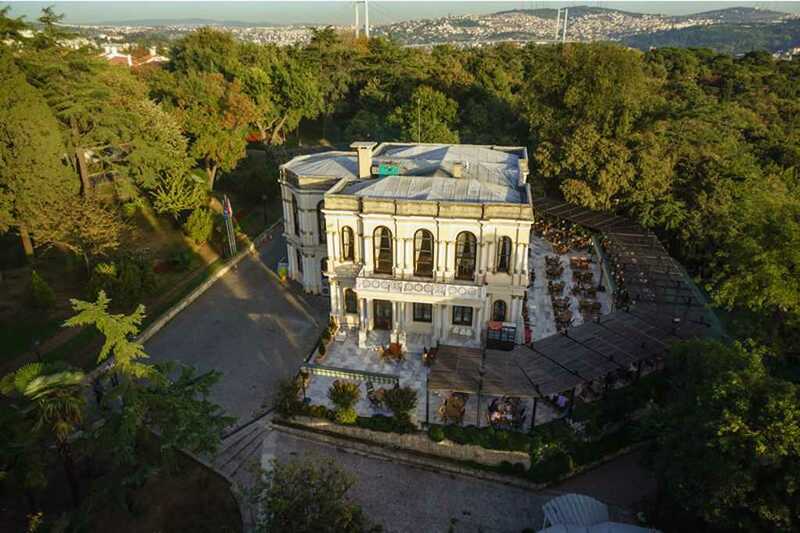 Since 1997, this mansion is controlled by Municipality of Metropolitan Istanbul and is open to visiting as cafeteria and restaurant. Events such as engagements, marriage ceremonies and business organizations are also organized here. Ottoman Sultan Abdulhamid II put the people who he blamed on the murder of his uncle, Abdulaziz in the prison and interrogated them in the Cadir Pavilion. A part of Yıldız Palace and meaning ‘’chalet’’ (dag evi in Turkish), Sale Pavilion is one of the most attracted structures of Ottoman architecture. It is well known that the first section of pavilion composing of three main constructions built at different times in a garden surrounded with high walls; the first structure was built by the great artist Sarkis Balyan in 1880, the second section named Merasim Kiosk was established by D’Aranco in 1889 and the third part was completed in 1898. The last two parts was made for German Emperor Wilhelm II to stay here after his visiting to Istanbul. 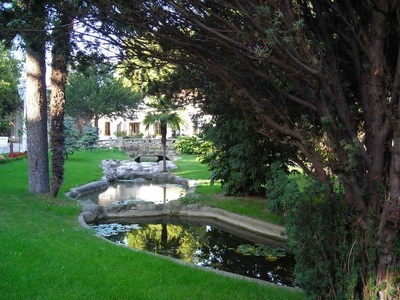 Built as three-floors with the basement, the mansion is made from wood and stone. It contains Harem and Salutation sections which reflect the Ottoman house plan tradition. Moreover that building with 60 rooms and 4 saloons exhibits the influence of Baroque, Rococo and Islam art styles upon its architecture like calligrapher, geometric decorations and panels with landscape. The most fascinating space of the structure is the fabulous Ceremonial Hall, with one piece Hereke carpet which is 406 square meters and with the ceiling ornamented with gilded panels. 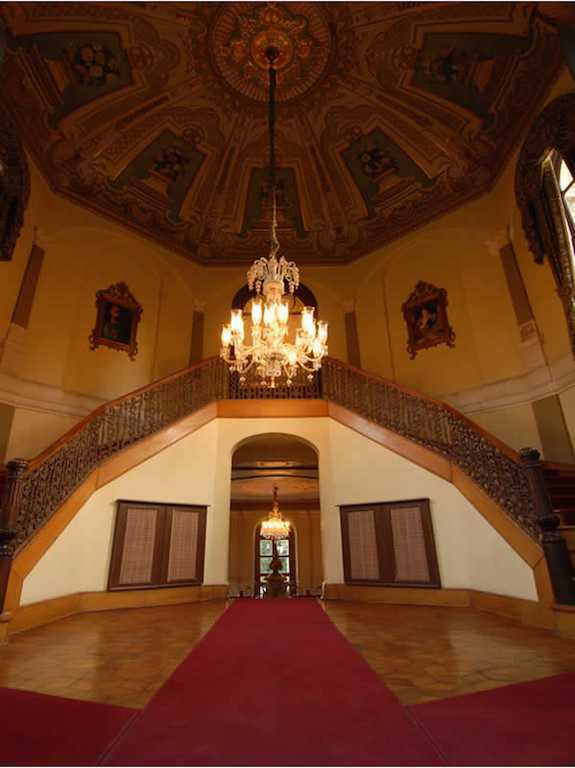 It is well known that the Muayede Ceremonies were displayed within this hall the period of Sultan Abdülhamit II. The furniture of the dining hall, also known as “Sedefli Salon” thanks to the doors with mother of pearl inlay moved from Ciragan Palace, was produced by Sultan Abdulhamid II at Tamirhane-i Humayun (Imperial Workshop) in the part of Yildiz Palace. Sale Pavilion displays the mixture of Ottoman and Europe Culture with its porcelain stoves, furniture and gilded and mother of pearl ornaments among the outstanding elements of the decoration of the Chalet. Today that pavilion opens to public as a museum-palace depending on TBMM (Grand National Assembly of Turkey) and also used as a conference hall which can be organized to congresses and seminars. 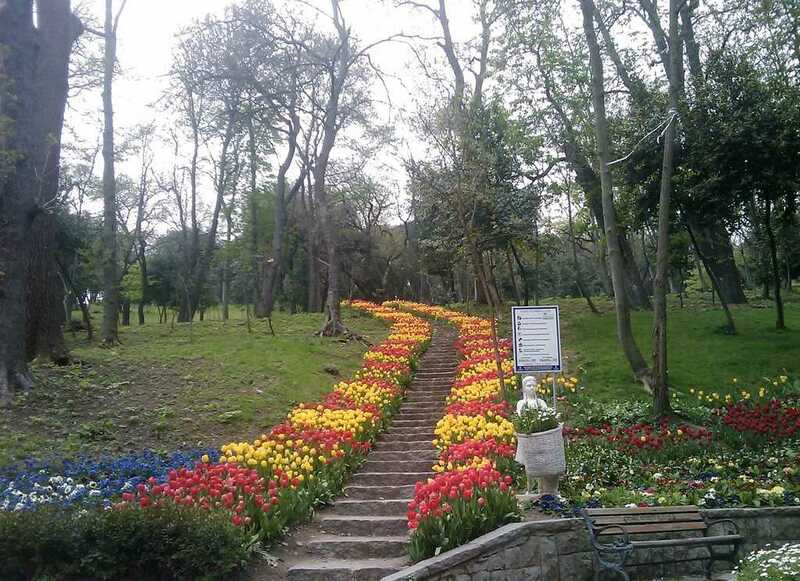 It was said that the Pan who is well known as a god of the shepherds according to the Greek Mythology played his magnificent flute within the Yildiz Park. So except for all above features, Yildiz Park is away from the noise. You feel in the safe within that quiet and restful park. Let’s come and rest your head in the nature of that glorious park.